With heavy hearts we announce the passing of Steve Koutsostavros at home while surrounded by his family on Thursday, February 14, 2019; at the age of 69. Beloved husband to Donna Koutsostavros for 35 years of marriage. Loving father of Kevin (Brenda) and Angelina (Kevin). Cherished grandfather to Nathaniel, Austyn, Landyn, Gavyn, Daniel and Jonah. 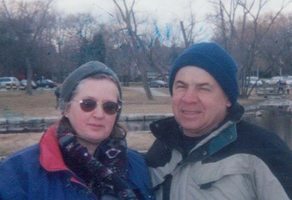 Steve was a hard working and devoted family man and was happiest when spending time with his wife, children and grandchildren. He was a very kind and selfless person, always putting others before himself. His patient and easy going manner allowed him to nurture his children and grandchildren; always showing them new ways of doing things. He enjoyed taking long walks and stopping at the store weekly to pick up his lottery tickets. He will be dearly missed and lovingly remembered by his family and friends. A celebration of Steve’s life will be announced at a later date. 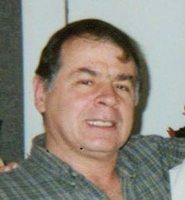 Consider providing a gift of comfort for the family of Steve (Sotirios) Koutsostavros by sending flowers. We encourage you to share your most beloved memories of Steve (Sotirios) here, so that the family and other loved ones can always see it. You can upload cherished photographs, or share your favorite stories, and can even comment on those shared by others.